The minimum supported version is Premiere is 9.0.2 and Adobe After Effects CC 13.5 or 2015. Open the Adobe Exchange page, sign into the same Adobe CC account that you're using with Premiere or After Effects, and then add the extension. Note: close all Adobe applications. 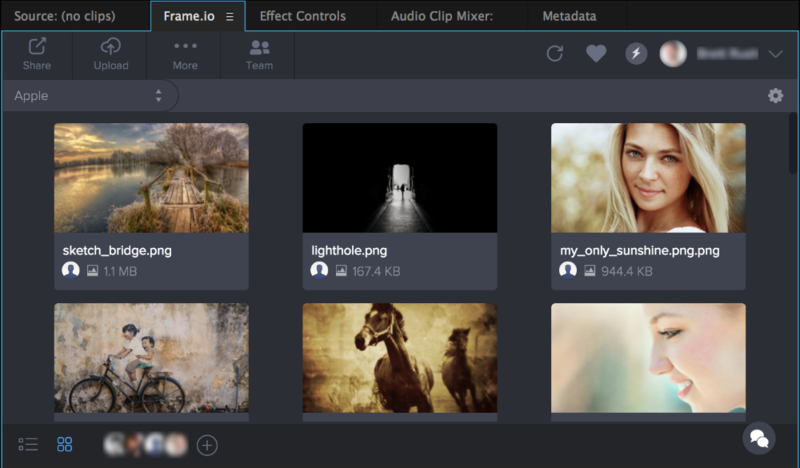 If this is not done, you will not see the Frame.io extension. If you still do not see the extension (see image below) you may need to restart your computer. The panel can be docked in any workspace. 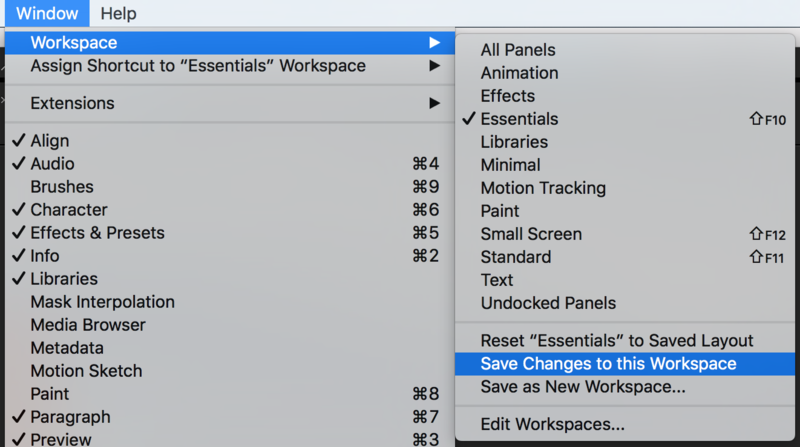 After opening the panel, drag it into the panel that makes the most sense for your workflow. Window >Workspaces > Save Changes to this Workplace or Save as New Workplace if you want to create a separate Frame.io specific workplace. 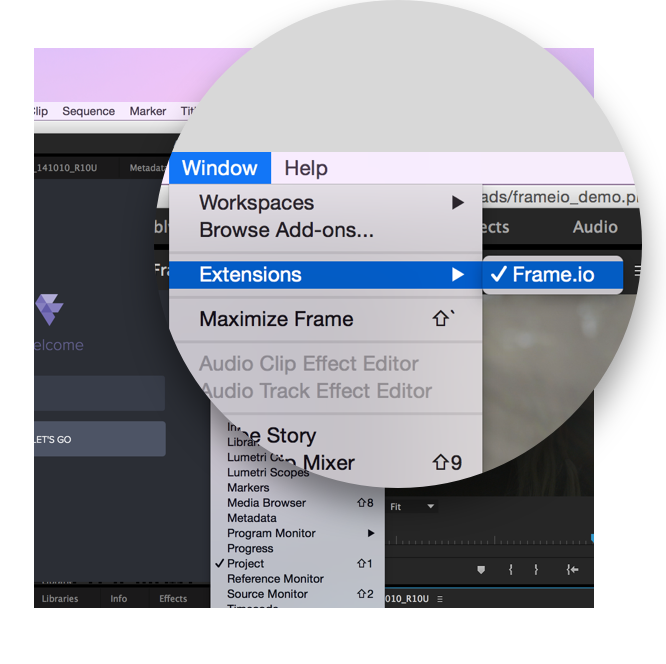 The next time you open Premiere, if you still do not see Frame.io, click Window > Workspaces > Reset to Saved Layout.